Here are the best container garden designs and ideas for planning a small potted vegetable garden! 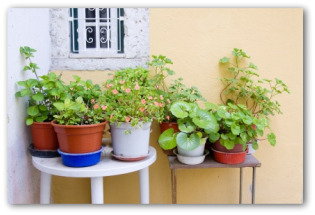 Basic plans and tips for planting a simple vegetable container garden on your porch, balcony or patio will help you get started. The first step to devising container garden plans is to decide how much space you have available for gardening. The second step to do decide how much time you are willing or able to devote to caring for your plants. 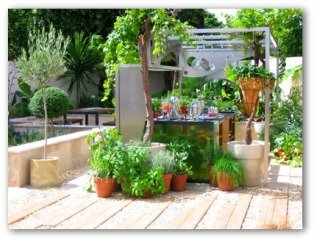 These two important considerations can help you design a suitable layout for your garden. 1. Grow only plants you and your family like to eat. 2. Water as often as needed to keep soil damp. 3. Full sunlight is better than shade. 5. Don't forget to fertilize the plants every two to three weeks during the growing season! 6. Use fresh enriched soil at the start. 7. Give plants some breathing room. If plants are crowded compensate for lack of root space with frequent light liquid fertilizer feedings. 8. Provide good drainage; remove excess water. 9. Avoid drafts or windy areas especially for native tropical plants. 10. Mist leafy plants during dry low-humidity weather. 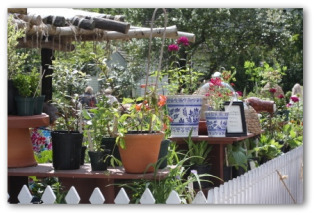 To be successful, container garden designs can be made in advance and held to a manageable size. 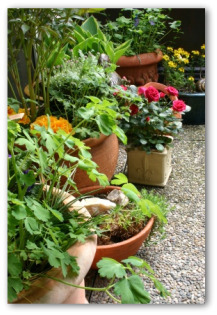 The necessary requirements for the plants are proper containers, and good growing conditions including regular watering. Diagram the prospective location of each container and which vegetables it will contain. Decide how many containers you intend to house in the garden. To help decide which vegetables to grow, make a list of family favorites. 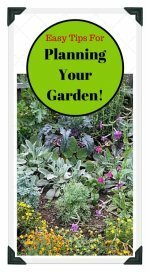 You may need to weed down the list according to whether you have the room or time to grow all the chosen veggies. Vegetable plants vary greatly in the amount of space they require. To make efficient use of your gardening area, container garden plans should take into account the diverse growing habits of plants. 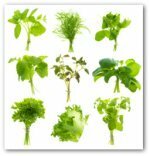 >Radishes, lettuce, and spinach need very little room and mature rapidly. Vine crops such as cucumber that sprawl can be provided with trellises or vertical supports to climb on. 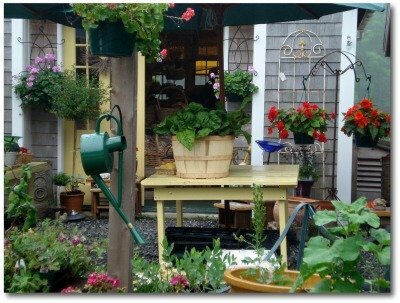 Don't let lack of gardening experience deter your first attempts to put your container garden plans in place. Container gardens are among the easiest, most manageable garden to grow! A container gardener is a more simple way to plant a succession of green onions and a few heads of lettuce than a traditional garden plot. And you can take that to the market! Plants that are suitable for including in container garden plans include: carrots, potatoes, eggplant, onions, carrots, peppers, tomatoes, parsnips, lettuce, cucumber, horseradish, radish, and dwarf zucchini. Everyone's favorite, tomatoes adapt well to container growing and there is a variety to fit into your container garden plans. Garlic, onions, and chives keep aphids off your plants. Coriander spells death to aphids and spider mites. 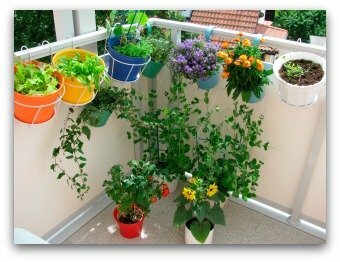 Experiment with a roll-around box for achieving success in container garden where space is in short supply. Since the planter can be rolled around, both sides of the planter can be used and turned to the sun as needed. A plant display stand concentrates growing in one area for easy tending and all around viewing. A stair-step planter can put vegetables and herbs at reach near your kitchen. A six foot high A-frame planter that is 6 to 8 feet in length is an ideal solution for small spaces to grow a wide variety of crops. Don't forget the roof overhang when it comes to hanging gardens. Support 6" deep window planter boxes with posts, chains, or nylon cord. Install a string trellis for vines.